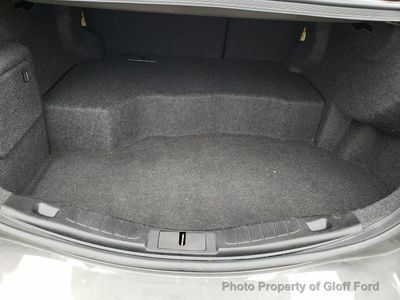 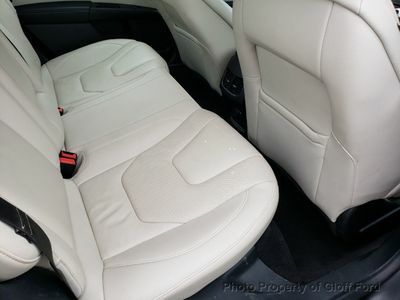 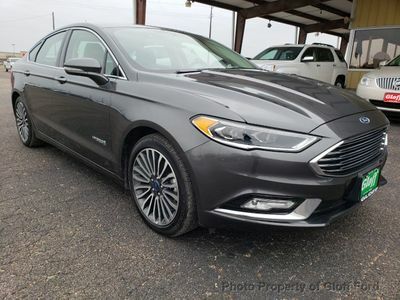 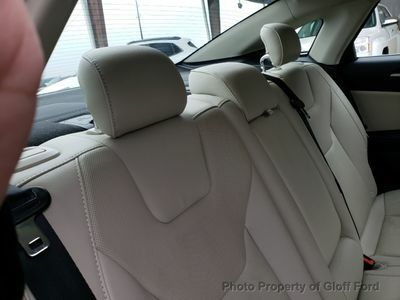 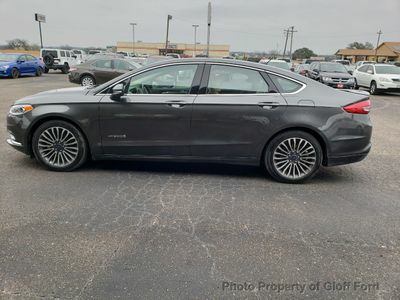 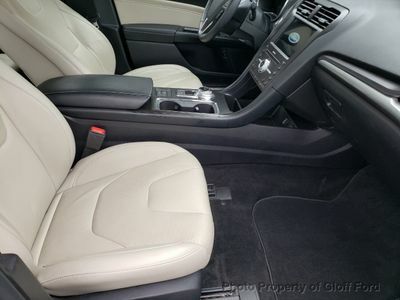 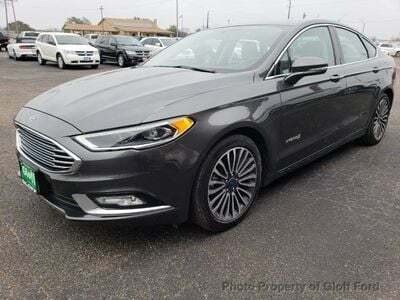 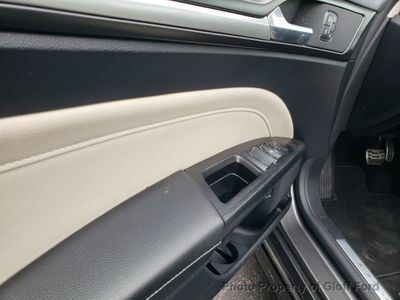 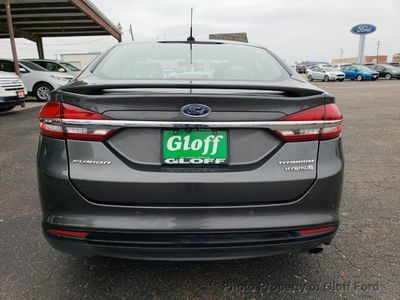 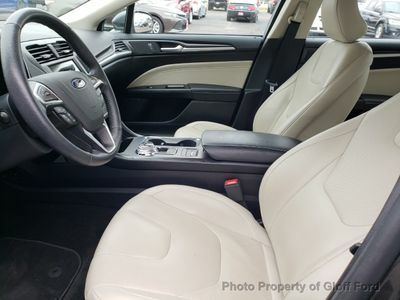 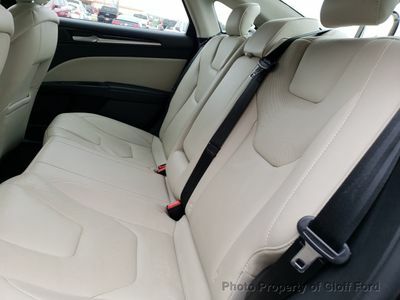 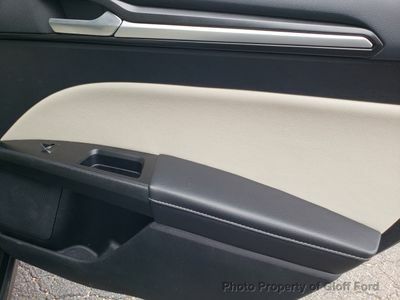 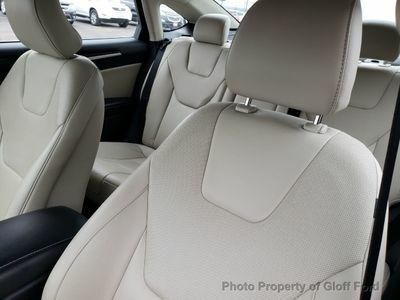 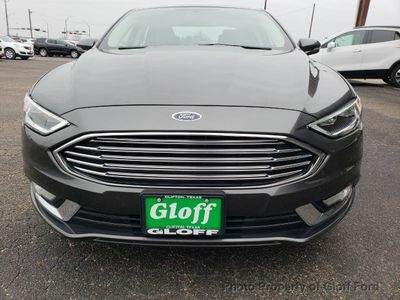 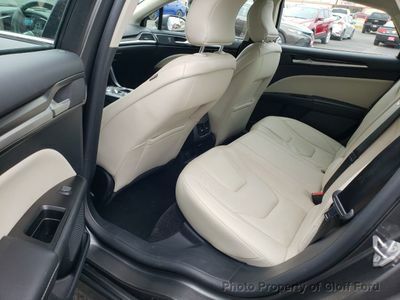 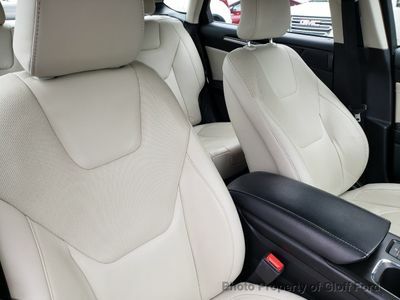 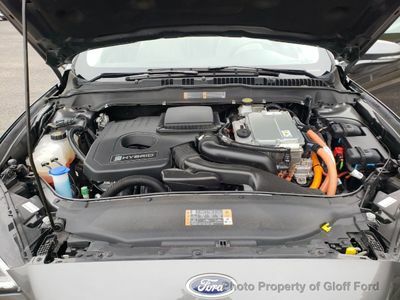 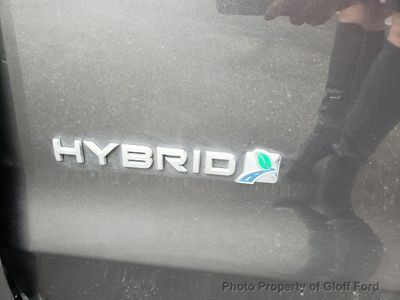 This Ford Fusion Hybrid also includes Power Driver's Seat, Clock, Climate Control, Power Passenger Seat, Tachometer, Dual Zone Climate Control, Power Steering, Telescoping Steering Wheel, Steering Radio Controls, Power Mirrors, Lthr. 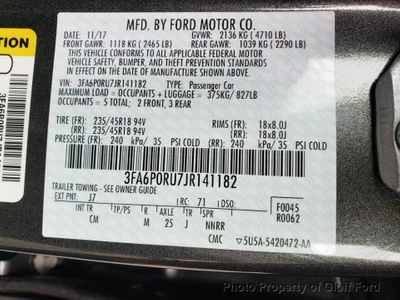 Steering Wheel, Driver Airbag, Fog Lights, Passenger Airbag, Intermittent Wipers, Side Airbags, Rear Defogger, Security System, AM/FM, Anti-Theft, CD Player, Satellite Radio, Rear Spoiler, Sport Seats, Center Arm Rest, Remote Fuel Door, Remote Trunk Lid, Vanity Mirrors, Heated Mirrors, Child Proof Door Locks, Daytime Running Lights, Reverse Camera, Side Curtain Airbags, Roll Stability Control, Tire Pressure Monitor, Carpeted Floor Mats, Overhead Console, Aux. 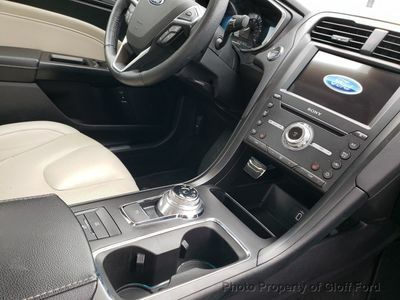 Audio Input, HD Radio. 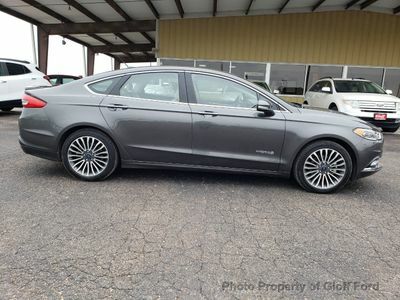 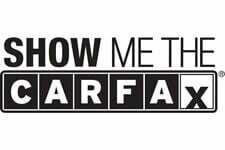 Own this CARFAX 1-Owner and Buyback Guarantee Qualified Fusion Hybrid today, worry free!